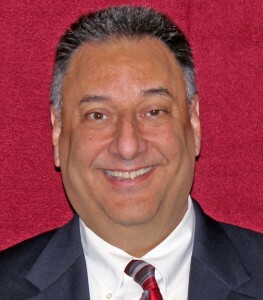 S. Mark Guastella became Executive Director of the Michigan Association of Retired School Personnel (MARSP) in September of 2011. He replaced Bonnie Carpenter who retired after serving MARSP for 28 years. From 2007 – 2011, Mr. Guastella was employed by PFM Asset Management LLC as a Senior Managing Consultant, providing investment advice and portfolio management for governmental and not-for-profit organizations, schools, corporations, pension funds and other public institutions in Michigan. Prior to PFM Asset Management, Mr. Guastella served as Executive Director of the Michigan School Investment Association (MSIA) for 6 years. In this capacity he was responsible for all operations of the Association, including independent advice on cash management and investments, cash flow analysis, member training, regulatory updates and policy development. Mr. Guastella was a personal investment advisor (Series 6 and 66) immediately prior to joining MSIA where he offered financial planning and retirement plan counseling. From 1978 through 1999 Mark was employed by Community First Bank in Lansing, Michigan. A Vice President, he was responsible for all operational and sales activities in the Bank’s Retail Network. Guastella graduated from Michigan State University in 1977 with a Bachelor of Arts degree in General Business Administration. He has been active in numerous community service organizations and within his local School District. He serves as the House Benefactor to the Michigan State University Evans Scholars and is President of the MSU Evans Scholars Alumni. He is currently a Director of the Western Golf Association/Evans Scholars Foundation providing support and direction in the activities of the largest privately funded college scholarship program in the United States.